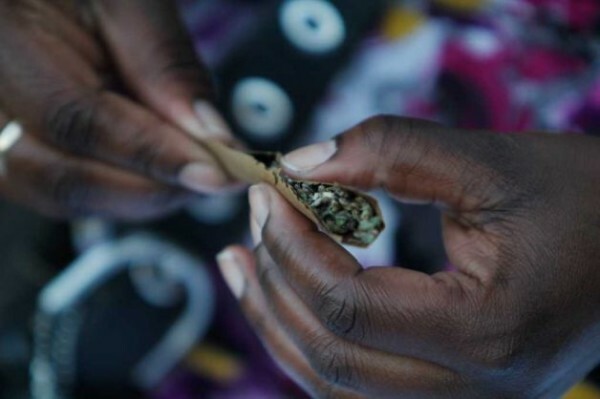 Are Black Americans Left Out of Country’s Economic Weed Boom? *The legalization of marijuana and the economic advantages of having a cannabis business is good for non-black people. It seems black Americans are literally missing out on the country’s increased attention to weed. Henderson’s concern comes as research backs up the fact that while folks of all races are equally likely to have broken the law by growing, smoking, or selling marijuana, black people are much more likely to have been arrested for the same acts and are more likely to now have a criminal record because of it. Now that every state that’s legalized medical or recreational marijuana is banning people with drug felonies from working at, owning, investing in, or sitting on the board of a cannabis business, it’s become a challenge for black Americans to capitalize on the economic opportunities created by legalization. “Based on more than 150 interviews with dispensary owners, industry insiders, and salespeople who interact with a lot of pot shops, it appears that fewer than three dozen of the 3,200 to 3,600 storefront marijuana dispensaries in the United States are owned by black people — about 1%,” the report says. Further, the legalization of marijuana has increased, with public support for legalization rising to a recent high of 58%. The surge more than doubles the amount of support over the last 20 years. And as public support increases for making weed legal, support for keeping nonviolent drug offenders locked up for long periods of time has been cut in half, to a low of 23%. The finding highlight the fact that the few black people who have started a cannabis business or have applied for a license are caught in the crossfire with them sometimes finding themselves subject to discriminatory law enforcement. Compared to white marijuana business owners, who are considered harmless, black owners have had to endure the longstanding stigma that they since they sell pot they are dangerous criminals. So what say you? Have black American’s gotten the short end of the stick when it comes to marijuana legalization or is the situation a fair one for them? The same thing is going to happen to black with opportunities in Cuba.